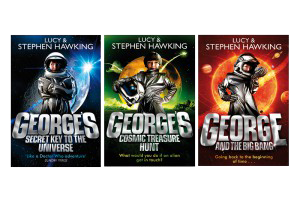 Vancouver, Canada-based Nerd Corps Entertainment has joined forces with world-renowned theoretical physicist Stephen Hawking and his daughter, author Lucy Hawking, to bring their bestselling George Greenby children’s book series to TV screens. The Hawkings and Nerd Corps, along with UK-based Pure Grass Films (on-board as executive producer, co-financer and distributor), are in early development on a 26 x half-hour, 3D-animated series for kids ages five to nine based on the popular books. Exploring elements of science, physics and earthly phenomena through comedy, action, and dramatic storytelling, the series will follow the adventures of 11-year-old George Greenby and his best friend Annie Bellis as they journey throughout the universe aided by a feisty, speech-capable supercomputer named Cosmos. Nerd Corps is also looking to develop a multi-platform experience for the property that will engage kids around the world with scientific discovery both on- and off-screen. Based in Cambridge, England, Lucy Hawking is the creator of the original concept for the books, has written for numerous British newspapers and has travelled the world giving popular talks on space travel and science for kids. Her father’s adult book A Brief History of Time has to date sold more than 12 million copies worldwide. The announcement of new TV series comes as STEM-themed games and television plotlines for kids are increasing in relevance for early learners.